SICIS presents another extraordinary mosaic collection – Structura. 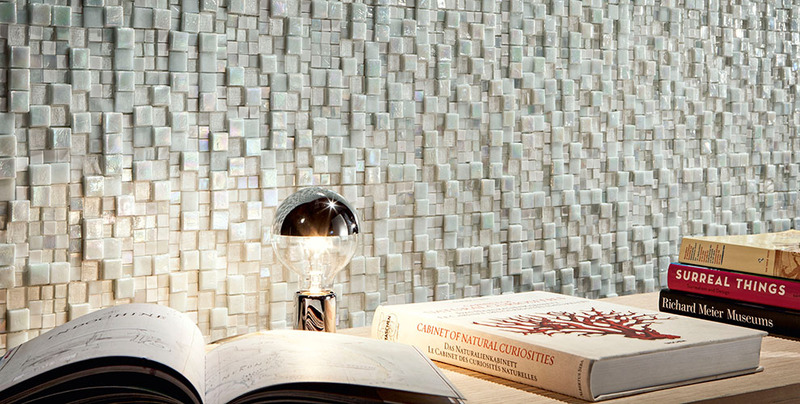 This collections is unique since the tesserae different thicknesses give birth to 3D effects. Different thickness, transparencies, beaming lights, glass and mirrors. SICIS Structura collection offers a series of glass mosaic panels with shiny square tesserae in different sizes, thicknesses and textures, for an intriguing multidimensional effect. Ton sur ton or contrast shades, combined together for an effect that seems casual but that in fact is a studied technique. 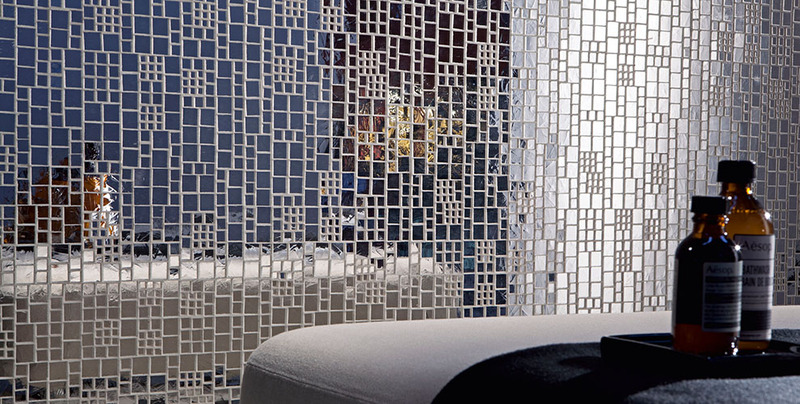 Structura enlightens the three-dimensionality of a mosaic that, in a game of shapes and thicknesses, recreates the effect of a dazzling waterfall, flowing on shiny walls in an original and unique way. 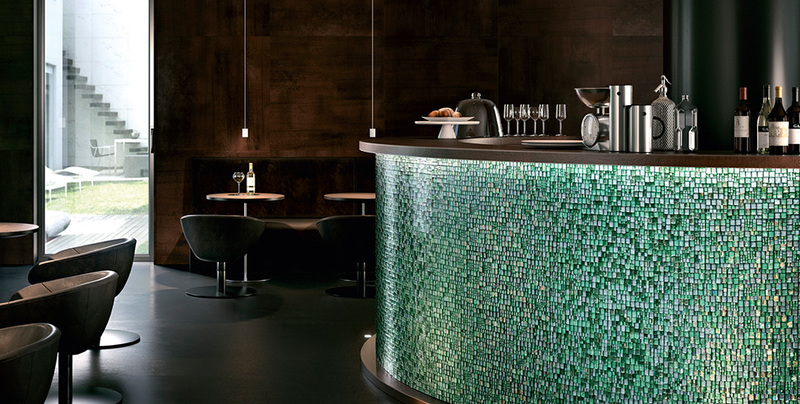 This collection gathers a vast palette by SICIS Colours, offering panels in soft, warm tones, made even more precious by copper explosions of light or gold and platinum tesserae, or in a mix of silver tones combined with intense green or purple hints. Alternatively, this collection offers more daring combinations of deep and shiny reds, or blends with a more candid allure, with shimmering and milky shades, as elegant as an aquamarine. Structura is a treasure which encloses a precious content: SICIS’ history and experience that through the years has been able to draw on a continuous search for subtle harmony, combined with the beauty of its materials, mixing balance and contrast, playing with light, transparency and iridescence, which is perfectly summarized in this collection.